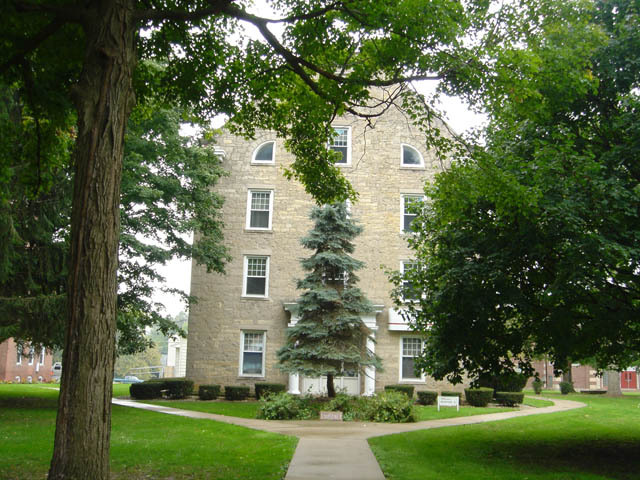 Located Wesley Ave, and junction of Front St. on college grounds Coordinates Lat N 42:02':853" Lon W 89:26':021"
Rock River Seminary, the first institution of higher education in Northern Illinois, was estanblished by the Methodist Church in 1839. Because of financial difficulties it was forced to close in 1879. The Church of the Brethren then purchased the campus and established Mount Morris Seminary and Collegiate Institute. 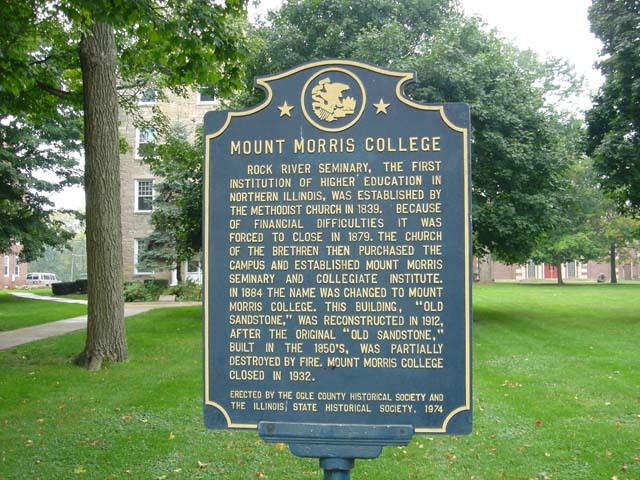 In 1884 the name was changed to Mount Morris College. This building, 'Old Sandstone,' was recontructed in 1912, after the original 'Old Sandstone,' built in the 1850's, was partially destroyed by fire. Mount Morris College closed in 1932.